Is it time for combination therapy? Aggressive therapy for patients with type 2 diabetes mellitus and renal disease is warranted given the natural history of this disease. Although antagonizing the renin-angiotensin system is clearly important, how this is accomplished is of considerable controversy. On the one hand, recent clinical trials of patients with type 2 diabetes mellitus with renal disease demonstrate unequivocally the renal protective effect of angiotensin receptor blockers (ARBs). Although the results of the recently published LIFE trial are encouraging, inconsistencies have been observed with ARBs in reducing cardiovascular end points. On the other hand, angiotensin-converting enzyme inhibitors have a dramatic effect in reducing cardiovascular events but have not been shown convincingly to reduce progression of renal disease in patients with type 2 diabetes mellitus. These studies leave us in a quandary as to the optimal initial treatment regimen for patients with type 2 diabetes mellitus and renal disease despite the recent recommendations from the American Diabetes Association (Alexandria, Va). Given the fact that many of these individuals will require administration of multiple antihypertensive agents, perhaps the initial treatment with a combination of an ARB and angiotensin-converting enzyme inhibitor affords optimal cardiovascular and renal protection for patients with type 2 diabetes mellitus and renal disease. Future clinical trials should be designed to address this issue. Diabetic nephropathy is currently the leading cause of end-stage renal disease (ESRD) in the United States, accounting for nearly 40% of all patients initiating renal replacement therapies.1 Economically, the costs of caring for the 344 000 patients in the ESRD program exceeded $17.9 billion dollars in 1999.1 By the year 2010, there will be an estimated 660 000 patients receiving dialysis with a potential cost of $30 billion dollars.1 The first-year mortality of patients with type 2 diabetes mellitus who require dialysis exceeds 20%.1 Most these deaths are due to cardiovascular disease (CVD).1 It is clear that effective strategies to reduce the epidemic of ESRD and CVD in patients with type 2 diabetes mellitus are needed. These strategies will have to focus on control of blood pressure (BP), lipids, serum glucose, obesity, and smoking cessation. Recent clinical trials with angiotensin receptor blockers (ARBs) have shown impressive results in reducing progression of microalbuminuria to overt nephropathy and in prolonging the time to doubling of serum creatinine.2-4 Based on these findings, the American Diabetes Association (ADA) (Alexandria) has recommended that for patients with type 2 diabetes mellitus with hypertension and microalbuminuria or albuminuria, ARBs should be the initial antihypertensive agent of choice.5 However, this recommendation considers the renal protective role of ARBs without consideration of the important role of cardiovascular protection. This is especially important given the recent dramatic findings of the MICRO-HOPE (Heart Outcomes Prevention Evaluation) trial,6 which demonstrated a 25% risk reduction in cardiovascular end points in diabetic patients (97% of whom had type 2 diabetes mellitus) with the angiotensin-converting enzyme (ACE) inhibitor ramipril. For a patient with type 2 diabetes mellitus, hypertension, and microalbuminuria, these studies raise the question as to whether combination therapy with ARBs and ACE inhibitors should be used either initially or as sequential therapy to obtain maximal benefit in terms of renal and cardiovascular protection. Prolonged, elevated blood glucose levels in patients with type 2 diabetes mellitus will lead to glomerular damage. The earliest clinical manifestation of this damage is the development of microalbuminuria (>30 mg/d or >20 µg/min). Untreated, approximately 20% to 40% of patients with microalbuminuria and type 2 diabetes mellitus will progress to overt nephropathy and albumin excretion rates greater than 300 mg/d or 200 µg/min.5 Of these patients, 20% will progress to ESRD.5 Numerous studies,2-4,7-10 in both diabetic and nondiabetic nephropathies, have demonstrated that either ACE inhibitors or ARBs lower the rates of albumin excretion and the decline in the rate of renal function. This protective effect is dependent on hemodynamic and nonhemodynamic effects of these agents. Recently, the ARBs losartan potassium and irbesartan have been shown in patients with type 2 diabetes mellitus to decrease the progression from microalbuminuria to albuminuria and to slow the progression of diabetic nephropathy.2-4 In the IRMA (Irbesartan for Microalbuminuria in Type 2 Diabetes) study,2 590 patients with type 2 diabetes mellitus with microalbuminuria, normal renal function, and BP greater than 135/85 mm Hg were randomized to treatment with either placebo or irbesartan (150 mg/d or 300 mg/d). At the end of 2 years, progression to macroalbuminuria occurred in 14.9% of patients receiving placebo and in 9.7% and 5.2% in the groups given irbesartan, 150 mg/d and 300 mg/d, respectively. Blood pressures in the 3 groups were 144/83 mm Hg (placebo), 143/83 mm Hg (irbesartan, 150 mg/d) and 141/83 mm Hg (irbesartan, 300 mg/d). This study demonstrates a dose-dependent reduction in the incidence of progression from microalbuminuria to macroalbuminuria. The IDNT (Irbesartan Diabetic Nephropathy Trial) enrolled 1715 patients with type 2 diabetes mellitus, proteinuria (>900 mg/d), and creatinine levels between 1.0 and 3.0 mg/dL (88-265 µmol/L).3 Patients were randomized to receive either irbesartan (300 mg/d), amlodipine besylate (10 mg/d), or placebo. Placebo treatment consisted of placebo medication plus conventional antihypertensive medications. The trial lasted 2.6 years and had as its primary composite end point the doubling of serum creatinine levels, reaching ESRD, or death. The BP goal was 135/85 mm Hg in all groups; however, actual attained levels were 140/77 mm Hg in both the irbesartan and amlodipine groups and 144/82 mm Hg in the placebo group. In the irbesartan group, patients had a 20% lower unadjusted relative risk of reaching the primary end point than the placebo group (P = .02) and 23% lower than in the amlodipine group (P = .006). The unadjusted relative risk of doubling of serum creatinine levels in the irbesartan group was 33% lower than the placebo group (P = .003) and 37% lower than the amlodipine group (P<.001). Last, in the RENAAL (Reduction of Endpoints in NIDDM with the Angiotensin II Antagonist Losartan) trial,4 1513 patients with type 2 diabetes mellitus, urine albumin excretion greater than 300-mg/g creatinine (mean, 4 g/d), and serum creatinine levels between 1.3 and 3.0 mg/dL (115-265 µmol/L) were randomized to receive either placebo or losartan (beginning at 50 mg/d and increasing to 100 mg/d at 4 weeks if BP was not controlled). The study was terminated at 3.4 years of follow-up because of evidence from the HOPE trial11 that the ACE inhibitor ramipril led to cardiovascular protection in patients with type 2 diabetes mellitus at high risk for future CVD. Proteinuria decreased by 35% with losartan and did not change with placebo, while at study end point, BP measurements were nearly identical for both groups. In the losartan group, patients had a 16% reduction in the primary composite end point (time to doubling of serum creatinine levels, ESRD, or death) (P = .02). In addition, losartan led to a risk reduction of 25% for time to doubling of serum creatinine levels (P = .006) and of 28% for ESRD (P = .002). In summary, 3 recent trials have provided convincing evidence that in patients with type 2 diabetes mellitus with either microalbuminuria or overt diabetic nephropathy, ARBs reduce the progression of renal disease. For patients with type 2 diabetes mellitus with microalbuminuria or overt nephropathy, the data supporting a renal protective role for ACE inhibitors is far less robust. In a landmark study published in 1993,7 the Collaborative Study Trial Group demonstrated that in patients with proteinuric type 1 diabetes, captopril (25 mg 3 times a day) led to a significant slowing of the deterioration of renal function over 3 years. In the group treated with captopril, there was an 11% decline in renal function vs a 17% decline in placebo-treated individuals. Furthermore, in 7 of 42 nephrotic patients treated with captopril, there was remission of the nephrotic syndrome compared with remission in only 1 of 66 controls. Based on the probable similar pathophysiologic traits of nephropathy seen in patients with type 1 diabetes and type 2 diabetes mellitus, the renal protective effects of ACE inhibitors have been extrapolated to patients with type 2 diabetes mellitus. Several studies support the role of ACE inhibitors in this regard. Ravid and coworkers12 randomized 156 normotensive patients with type 2 diabetes mellitus and albumin excretion of less than 30 mg/d to receive either enalapril or placebo. Over a 6-year follow-up, the transition to microalbuminuria occurred in 19% of the placebo group and 6.5% of the enalapril group. The mean decrease in creatinine clearance was 2.4 mL · min · y in the placebo group and 1.5 mL · min · y in the enalapril group. Time to doubling of serum creatinine levels and time to ESRD or mortality were not end points in this trial. While there are numerous studies7-9 supporting the role of ACE inhibitors in type 1 diabetes and nondiabetic nephropathies,10 to our knowledge, there is no other supporting evidence from prospective, randomized controlled trials for their use in patients with type 2 diabetes mellitus. There are, however, numerous smaller trials with short duration of follow-up that demonstrate renal protection from ACE inhibition in patients with type 2 diabetes mellitus.13 Thus, the lack of data from prospective, randomized clinical trials supporting renal protection with ACE inhibitors and the strong data supporting renal protection with ARBs in patients with type 2 diabetes mellitus underscores the ADA recommendation for the use of ARBs as the first-line treatment for renal protection in patients with type 2 diabetes mellitus. Unfortunately, the relative renal protective benefits of ACE inhibitors vs ARBs have yet to be studied. 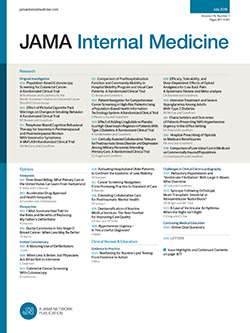 In addition to renal protection, it is imperative to consider the role of cardiovascular protection, as CVD is the leading cause of mortality in patients with type 2 diabetes mellitus.14 It is responsible for 70% to 75% of hospital admissions and deaths in diabetic patients.15 The risk of a first myocardial infarction for diabetic patients is similar to the rate of recurrent infarcts in nondiabetic patients, and the age-adjusted prevalence rate of coronary heart disease in white diabetic patients is nearly 2-fold higher than that of nondiabetic patients.15 Importantly, albuminuria is a strong predictor of cardiovascular morbidity and mortality.16 Patients with albuminuria have a 2- to 3-fold increase in cardiovascular mortality vs age-matched controls.17,18 Furthermore, most patients with type 2 diabetes mellitus have multiple cardiovascular risk factors. Most patients have some combination of obesity, hypertension, left ventricular hypertrophy, poor exercise tolerance, insulin resistance, hyperlipidemia, endothelial dysfunction, and tobacco abuse. In concert, these factors increase CVD risk 2- to 3-fold in diabetic patients compared with a nondiabetic cohort. This epidemic of CVD emphasizes the need for preventive strategies. These strategies include glycemic control, management of dyslipidemia, regular exercise, smoking cessation, control of hypertension, and prevention of nephropathy. Whereas ARBs clearly show benefit in reducing the incidence of nephropathy, ACE inhibitors have shown powerful reductions in cardiovascular end points. Importantly, the effect of ACE inhibitors in reducing cardiovascular mortality appears independent of its antihypertensive effects. Of the studies with ACE inhibitors that demonstrate significant reductions in CVD in patients with type 2 diabetes mellitus, the MICRO-HOPE study6 is perhaps the most important. In this study, 3577 patients with diabetes (97% of whom had type 2 diabetes mellitus) who were at high risk for cardiovascular events were randomized to treatment with either ramipril (10 mg/d) or placebo (conventional therapy excluding an ACE inhibitor). Entry criteria for cardiovascular risk included age greater than 55 years and either a history of CVD (coronary artery disease, stroke, or peripheral vascular disease) or diabetes plus at least 1 other cardiovascular risk factor (total cholesterol >200 mg/dL [>5.2 mmol/L], high-density lipoprotein cholesterol <35 mg/dL [<0.9 mmol/L], hypertension, known microalbuminuria or current smoking). Baseline BP was 141/80 mm Hg, and at the end of 4.5 years, the ramipril group had a BP decrease of 1.9 mm Hg systolic BP and 3.3 mm Hg diastolic BP compared with the placebo group, for which systolic BP increased 0.55 mm Hg and diastolic BP decreased 2.3 mm Hg. Ramipril therapy lowered the risk of the combined primary end point of myocardial infarction, stroke, or cardiovascular death by 25% (P<.001), which after adjustment for changes in BP was still 25%. Total mortality was also lowered by 24% (P = .004) with ramipril. The effects of ramipril were seen beyond baseline therapy with aspirin, lipid-lowering agents, and antihypertensive agents. Renal outcomes were also investigated. While there was a trend toward decreased overt nephropathy in the ramipril group (6% in ramipril-treated participants compared with 7% in the placebo group), this did not reach statistical significance (P = .07). These results were consistent with other trials of ACE inhibitors in diabetic patients with hypertension such as the Captopril Prevention Project,19 in which captopril led to a 14% reduction in cardiovascular events vs treatment with diuretics and β-blockers. This beneficial effect of ACE inhibitors was also seen when ACE inhibitors were compared with calcium-channel blockers in the FACET20 (Fosinopril versus Amlodipine Cardiovascular Events Randomized Trial) and in a trial comparing enalapril to nisoldipine.21 However, in the UKPDS 39 (United Kingdom Prospective Diabetes Study),22 captopril and atenolol both led to equivalent reductions in cardiovascular events, although the total number of events was low. In total, several randomized controlled trials support a powerful benefit of ACE inhibitors in decreasing cardiovascular events. At least in the MICRO-HOPE trial, this benefit was not secondary to lowering of BP. A further interesting observation in the HOPE trial11 was that treatment with ramipril led to a 34% reduction in the onset of diabetes. This insulin-sensitizing effect of ACE inhibitors could potentially reduce cardiovascular events over the long term. Supporting evidence for a role of ARBs in cardiovascular protection has begun to appear in the literature. In the IDNT,3 there was no significant difference among the treatment groups in cardiovascular outcomes, although irbesartan led to a 23% lower risk for hospitalization for congestive heart failure vs placebo. In the RENAAL trial,4 there was also no difference in the composite of cardiovascular morbidity and mortality between the losartan and placebo groups. Once again, however, the rate for first hospitalization for heart failure was decreased 32% vs placebo. Both of these trials may have been underpowered to detect small differences in cardiovascular events between the ARB group and placebo group. Furthermore, the prevalence of CVD in the patients enrolled in the RENAAL trial and the IDNT at baseline was much lower than that of the patients in the MICRO-HOPE trial. Thus, the MICRO-HOPE population was likely at higher risk for cardiovascular events. However, cardiovascular benefit in patients with type 2 diabetes mellitus was seen in the LIFE (Losartan Intervention For Endpoint) reduction in hypertension study.23 In this study, 1195 diabetic patients (most of whom had type 2 diabetes mellitus) with hypertension and left ventricular hypertrophy by electrocardiogram were randomized to either losartan-based or atenolol-based therapy. The mean BP of patients at randomization was 177/96 mm Hg. Patients were followed up for a mean of 4.7 years with the primary end point being the composite of cardiovascular morbidity and mortality (cardiovascular death, stroke, or myocardial infarction). Blood pressure fell to146/79 mm Hg in the losartan-treated patients and to 148/79 mm Hg in the atenolol-treated patients. Losartan treatment led to a 24% reduction in the composite end point (P = .03). This reduction was largely due to a decrease in total fatal and nonfatal stroke, as reductions in myocardial infarctions and cardiovascular mortality were not statistically different between treatment groups. Furthermore, losartan led to significant reductions in left ventricular hypertrophy. In the Losartan Heart Failure Survival Study (ELITE II),24 3152 patients aged 60 years or older with New York Heart Association class II to IV heart failure and ejection fraction of 40% or less were randomized to treatment with losartan or captopril. Captopril treatment resulted in lower mortality than losartan treatment (15.9% vs 17.7%, respectively) although this result did not reach statistical significance (P = .16). There was also a trend for a lower prevalence of sudden death in the captopril-treated group vs the losartan-treated group (7.3% vs 9.0%; P = .08). Interestingly, in the subgroup of patients taking β-blockers, there was a 44% decrease in mortality in those patients taking captopril compared with those patients taking losartan. Patients with diabetes were not specifically examined in this trial. In summary, clinical trials with ARBs for cardiovascular protection show some promise, especially with the recently published LIFE trial.23 However, much of the data is still inconclusive. Hopefully, the results of several ongoing trials with ARBs, such as VALUE (Valsartan Antihypertensive Long-Term Evaluation) and ABCD-2 (evaluating the impact of valsartan in patients with type 2 diabetes mellitus who are normotensive and hypertensive), will help clarify this important issue. In the absence of a head-to-head trial, it will remain unclear if ACE inhibitors are superior to ARBs in affording cardiovascular protection. Thus, combination therapy with ACE inhibitors and ARBs may afford more complete blockade of the angiotensin system, as well as inhibiting the breakdown of potentially vasoprotective factors such as bradykinin. However, this strategy currently rests only on theoretical grounds. We would stress that control of BP to a goal of 125/75 mm Hg in proteinuric diabetic patients is the most important factor in decreasing renal and cardiovascular events. While the synergistic effect on BP has been demonstrated with other antihypertensive combinations (such as diuretics or β-blockers with ACE inhibitors), there is currently little data supporting this effect for combination ACE inhibition/ARB use. Several trials have now examined the effects of combination ARB/ACE inhibitor therapy on renal disease. In patients with type 2 diabetes mellitus with nephropathy, Kuriyama et al29 compared the antihypertensive and antiproteinuric effects of combined therapy with calcium channel blockers plus an ARB vs combined ACE inhibitor/ARB therapy. A more profound fall in urinary protein excretion was seen in the ACE inhibitor/ARB therapy group at the expense of an increase in serum potassium levels and a greater fall in hematocrit. Finally, Nakao et al30 examined combined ACE inhibitor/ARB therapy in nondiabetic renal diseases and demonstrated a significant decrease in urinary protein excretion as well as progression of disease (either doubling of serum creatinine or end-stage renal disease). Hopefully, future studies will elucidate whether such combination therapy has the benefits that are predicted. Until then, aggressive control of BP with a regimen that includes either an ACE inhibitor or ARBs should be undertaken in all patients with type 2 diabetes mellitus. Corresponding author and reprints: Mitchell H. Rosner, MD, Medical Associates of Savannah, 4849 Paulsen St at 65th, Suite 201, Savannah, GA 31416 (e-mail: rosner@medscape.com). Accepted for publication August 15, 2002.